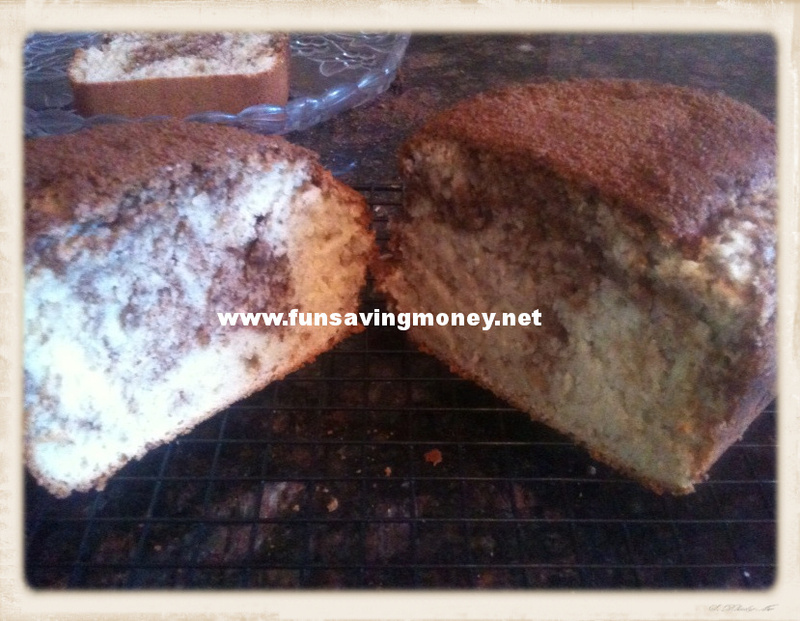 Since we are stuck inside and it is unbearably cold I thought that the kids and I could make some Cinnamon Swirl Bread. 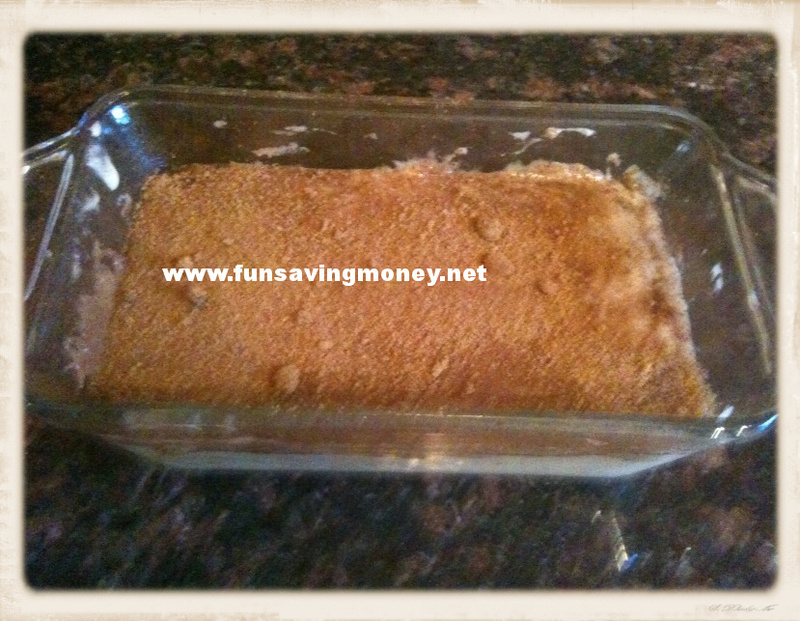 It is really easy to make and tastes super delicious. Sorry for the quality of the pictures I took them from my iPhone and they came out pretty blurry. 1. Preheat the oven to 350 degrees. Lightly grease a 9×5 inch loaf pan. In a small bowl mix together your 1/3 cup of brown sugar and the 2 teaspoons of cinnamon. Set this aside for later. 2. 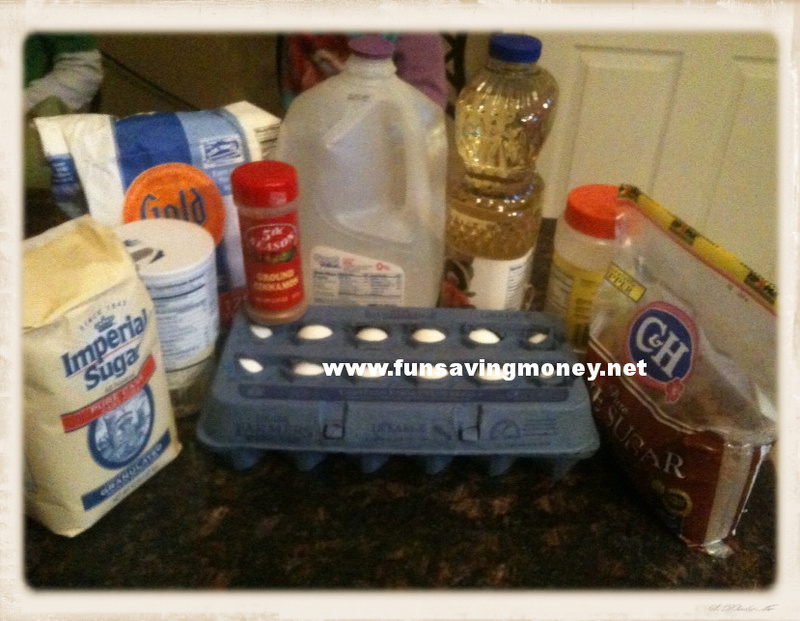 In a large bowl mix your flour, baking powder, salt and the 1 cup of sugar. Mix together the egg, mil and oil and then combine to the flour mixture. 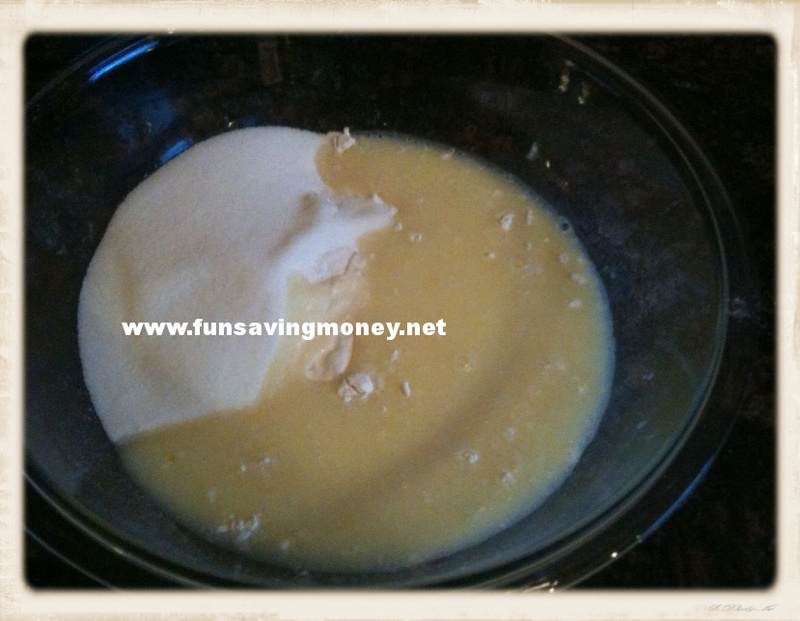 Stir this mixture until just moistened. 3. 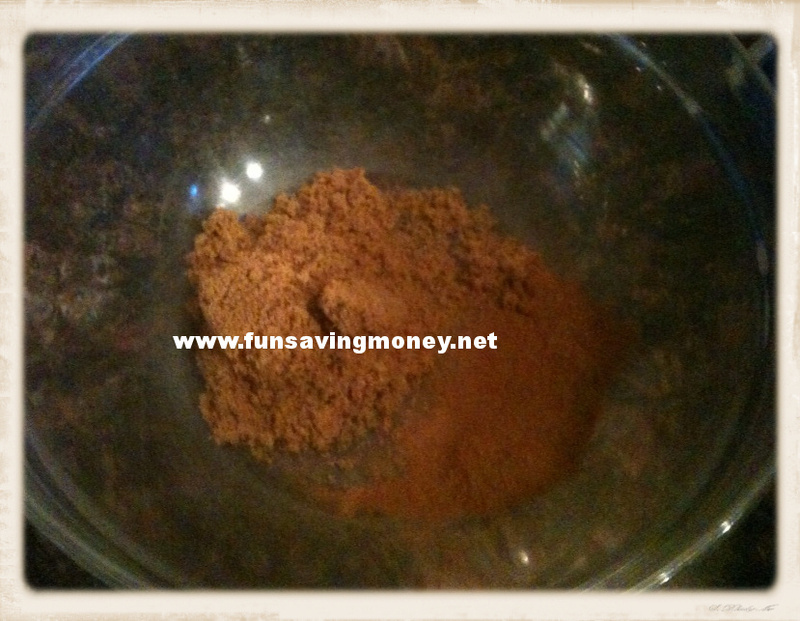 Pour 1/3 of the mixture into the pan and then sprinkle with 1/3 of the sugar and cinnamon mixture. 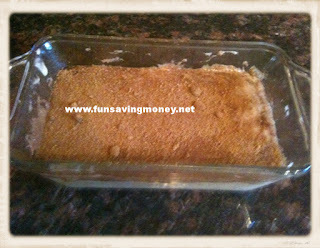 Repeat twice with the remaining batter and cinnamon/sugar mix. Take a knife and draw through the mixture to make a marble look. 4. Bake in the preheated oven for about 50 minutes or until you can insert a toothpick in the center of the loaf and it comes out clean. Oven times may vary so you may have to cook yours longer or shorter. Let the loaf cool in the pan for about 10 minutes. Transfer to a wire rack to cool and then your ready to slice and enjoy your bread. 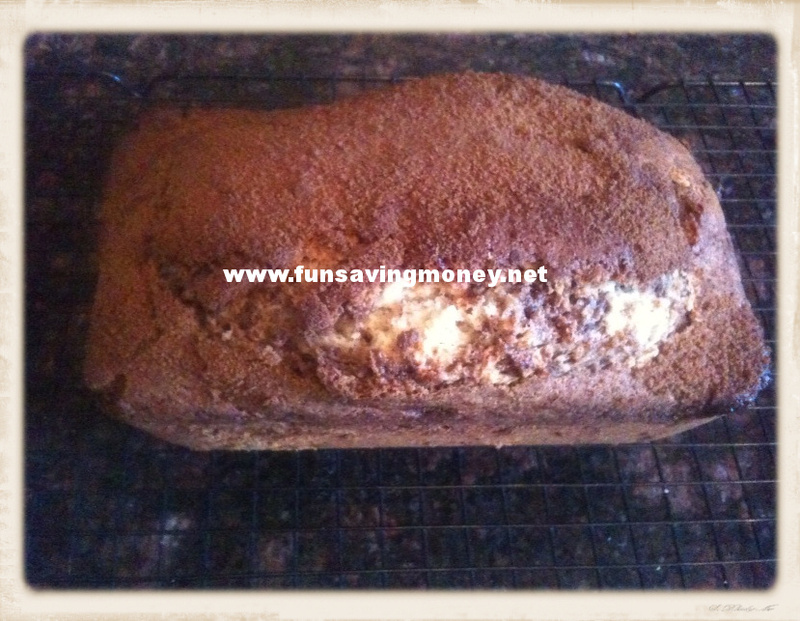 This was a really quick and easy bread to make for a cold morning! It goes perfect with a cup of coffee or hot cocoa. Enjoy!